Safety Manager Dilemma: Deciding Which SMS Software Solution? much more to address SMS documentation requirements. Safety managers are not data management experts. So how does a safety manager determine which aviation SMS software will achieve organizational goals without breaking the bank? A common misconception is that an airport SMS is different from an airline SMS. Or an executive from an aviation maintenance organization may have concerns that his risk management processes won't align with an airline's SMS, which has originally gotten all the attention, especially in the United States. The requirements and elements for an airline SMS are the same for an airport or aerodrome SMS. If you are not undergoing a management of change process, you will be simply monitoring operations as you initially implement the SMS. You don't need to go through a laborious systems analysis on existing systems in the early stages of an SMS implementation. That would be death by documentation. What I'm getting back to is that SMS risk management processes that are effective for one aviation industry segment are good enough for another, as long as you both follow sound safety risk management (SRM) and safety assurance (SA) processes. Monitoring SMS performance with the accountable executive. Do these spreadsheets look familiar? Do you have more than this? Probably. These are enough for the safety manager to scream, "just make this documentation nightmare at least manageable!" And on top of all this, the safety manager needs to regularly monitor the performance of the SMS to ensure it is performing as designed. How do you do that with spreadsheets? This is a scary situation and fraught with risk, especially for the accountable executive who wishes to see a return on his investment. Being able to say you have an SMS to put on your Website to placate customers and prospective customers. This is a valid business case to not sink too many resources into maintaining the SMS. The paper SMS is a short term business strategy. Smaller operators seem to get away with a paper SMS for many years before regulatory agencies start demanding a higher level of "demonstrable SMS performance." Smaller companies with fewer than 50 employees can benefit from SMS software when there is high employee turnover. Higher employee turnover means more SMS training documentation, but when the employee turnover is the safety manager, SMS software is the accountable executive's insurance policy. Imagine the sick feeling the accountable executive feels when he can't find the spreadsheets the previous safety manager had on his laptop. Or better yet, a not uncommon scenario is where the safety manager keeps all SMS documentation on his personal laptop because the accountable executive didn't want to spend $3,500 a year to keep the SMS data in the cloud, managed by professional SMS subject matter experts? SMS software provides continuity when management changes. SMS software also affects safety culture, either positively or negatively. If you don't believe me, ask WBAT users. WBAT is the once free safety reporting system funded by the FAA. They got operators to give them their data and in exchange, operators got a safety reporting system that was not user-friendly. I did hear of one positive report from a WBAT user about four years ago, but that was the only positive review in over a dozen years. In short, the SMS software your company chooses will affect your safety culture. help you comply with the ICAO mandated SMS requirements. Safety managers want to implement SMS the fastest and most economical manner possible. They may not have time to focus on software when they are trying to learn how to implement an SMS. However, this is a trap that many unsuspecting safety managers fall into. They see pretty pictures, but not much documentation on the product. Why is this? Aggregators search for aviation software to integrate into a single platform and then relabel the new software under their own brand. You may end up with a moderately effective system, but the integrated "systems" may not seem intuitively connected, or you don't have access to consistent reporting interfaces. There are some of these aggregated systems being used, such as what you would typically see with Sabre. Some of the workflows will seem clunky or the system will lack the aviation SMS "smell" in lingo used, such as labels. more frequent upgrades due to development cost is included in support. Software that is trying to be all things to all things will probably do a mediocre job on managing SMS requirements. Also, time to integrate or configure the system will usually take longer than two weeks, which is what it takes to implement SMS Pro and start collecting safety report data from employees. ability for organization to adapt to change. Therefore, since adopting new SMS software is similar to turning an oil freighter, safety professionals must be informed before selecting their SMS management software. The wrong choice can cost a lot of time and money, and potentially put someone's job at risk. tables for users to interact with. SMS software allows users to perform SMS tasks using predefined workflows as developed by safety management professionals. Some SMS software have more than dozen years of iterative software development support applied to the workflows. It is no wonder why some of these systems cost more than one million dollars to develop, support and continually mature in the risk management workflows, just as an SMS matures. Aviation SMS software saves time. Furthermore, the software assures top management that industry accepted procedures can be brought in-house. This saves the company from hiring SMS subject matter experts and software engineers to develop the SMS software in house. So what do you look for if you are ready to acquire SMS software? SMS is an opportunity for aviation service providers who sincerely want to improve business processes to become most profitable. SMS is a process of continuous improvement. The smart safety manager and accountable executive take this "SMS requirement" and turn it into an opportunity to add financial value to operations management. Managing a wide variety of "safety issues" requires a flexible risk management system. Your reported issues will vary not only by "type" but also by severity. After all, routine issues will never require in-depth investigations with a complex root cause analysis workflow. To be most effective, all minor incidents and close calls must be reported and documented. This is most important in order to delay "The Accident." By using these minor incidents and close calls for risk management practice, you are continually improving the system and reducing risk to as low as reasonably practical. The problem with "Spreadsheet SMS" is that there is no sustainable process to collect, store and retrieve safety data when you want employees to report EVERY suspicious activity or hazard. Minor incidents may not seem like much to the employee, but employees don't see the big picture. They only see their "minor incident" or their "almost minor incident" or the "almost major incident" that they don't want anybody to know about. A spreadsheet SMS is a disaster waiting to happen when the accountable executive expects results. Again, when accountable executives only want a "paper SMS," then they are not expecting much. Depending on your operation type, you may be serving two SMS taskmasters. A common scenario is an airline who both wants IATA accreditation and also needs to comply with regulatory SMS requirements. Standards bodies such as IATA, Flight Safety Foundation and IS-BAO benefit aviation service providers by assuring their prospective clients in foreign countries of some semblance of an SMS. You may have noticed I said "some semblance of an SMS." I say this rather loosely or glibly. There are many operators who have passed these audits that are not worthy. 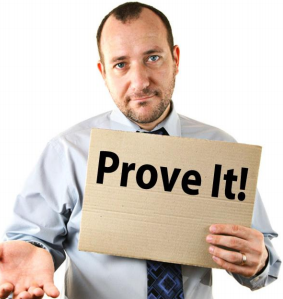 When a safety manager tells me that their airline is IATA certified, and the employees know nothing about their SMS, something is wrong with the "SMS auditing game." 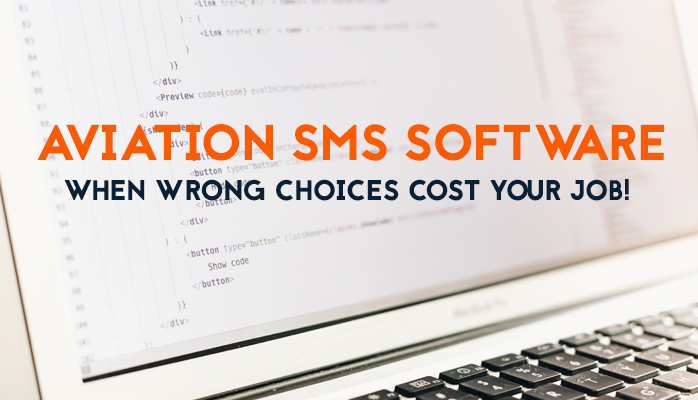 Let's call "satisfying regulatory SMS requirements" goal #1 when choosing an aviation SMS software solution. If you can improve operational efficiency and save money while satisfying a regulatory requirement, then this should be "goal #2." Improving operational and management reporting for more timely decision-making. Web-based SMS applications facilitate information sharing across the entire company, regardless whether employees are stationed at one location or scattered across the globe. varying levels of data transparency based on organizational culture. First off, everyone has the same need. See Goal #1, which is satisfying the ICAO requirements outlined in Doc. 9859 is the Safety Management Manual (SMM). If you already have a SharePoint application, you may not need document management features. By understanding SMS requirements, you will be able to identify your basic needs. If you don't understand the requirements, I highly recommend reviewing a gap analysis checklist. The gap analysis is an activity performed early on in the SMS implementation to guide safety teams as to what gaps the aviation service provider needs to fill to have a compliant SMS, based on the gap analysis model provided. The gap analysis is a great educational tool for not just safety managers, but for the accountable executive as well. It is important that the accountable executive understands the scope of his responsibilities to the SMS. Every accountable executive is responsible for assuring the proper implementation of the aviation SMS. Not only does the accountable executive need to be aware of "what is a proper SMS implementation," but they need to know how to determine whether the SMS performing in all areas of the organization. This is another responsibility that requires the regular review of organizational safety performance. This will be more difficult using spreadsheets or a cluster of point solutions. When there are problems with the SMS, the accountable executive is expected (as he is responsible) to direct actions necessary to address substandard safety performance. The gap analysis is an excellent educational resource besides being useful to identify gaps in an SMS implementation. You may want to review the gap analysis with the accountable executive whenever you get push-back (resistance) on the aviation SMS software budget. Ask the accountable executive how he wishes the SMS data to be managed? Do you think he will say "spreadsheets?" In the ideal world, all your SMS data management tools will be housed in one system and in one enterprise-grade database. 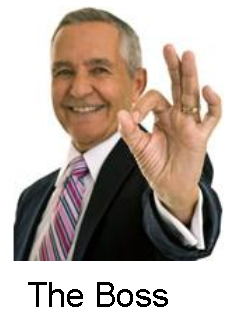 This certainly makes your life easier when SMS auditors come to inspect. This is the bare minimum to expect when searching for SMS software. safety team (alerting them of the new report). The safety reporting system is almost as important as the safety policy for encouraging healthy safety reporting metrics. When your safety reporting system is cumbersome and doesn't work, then you should not expect much safety reporting activity. Tracking and documenting periodic reviews as you monitor performance of implemented mitigation strategies. The above would be a very bare minimum to expect from even the most immature aviation SMS software. You will also need SMS performance monitoring dashboards to allow the accountable executive and upper level management monitor SMS performance. Some immature, substandard safety cultures require tough love, meaning that management must closely monitor employees' activities in the SMS. To track employee safety performance, software tools will be required to track training, safety reporting, safety meeting attendance, etc. Safety managers are performing a disservice to accountable executives by sticking to a spreadsheet SMS. There is no way for accountable executives to effectively monitor SMS performance using a spreadsheet SMS. Spreadsheets may work for the short term, but are not a sustainable SMS data management strategy. Aviation service providers shouldn't settle for the bare minimum because time is limited and aviation SMS software is not expensive when considering how much time it saves your company. When accountable executives are unable to monitor SMS performance, this needlessly increases risk to the operating certificate. After six to eight years into the SMS implementation, SMS auditors expect more mature SMS data management strategies. They are expecting aviation service providers to demonstrate that they can identify safety issues and spot trends before these safety issues result into "The Accident" that we all know is coming, but don't know to who or when. We do know why. In a mature SMS, regulatory agencies are expecting trend analysis based on historical data collection, categorization and analysis. How do you efficiently conduct the SMS trend analysis without SMS software tools that have been built for this particular end game in mind. By adopting SMS software, you are hedging your bet that you will be playing and winning in the end games. SMS software automates these processes and easily allows your company to track key performance indicators and detect trends. Collaborative environment to share processes, policies & procedures across all departments and entities, including internal and external users. Configurable issue assessment and classification schemes enabling incidents to be categorized by multiple classification systems that integrate into risk analysis reporting tools. Buy from a professional SMS software vendor. Earn accolades for the decision maker. However, choosing the wrong SMS solution can be costly for aviation service providers and for the career of the person making the final decision. Therefore it is important for safety managers to educate themselves on aviation SMS software features and benefits. 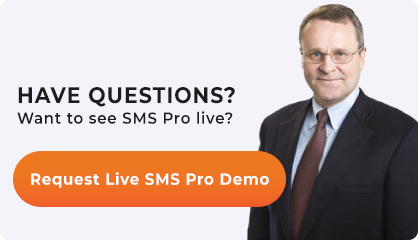 If you are looking to adopt SMS software, here are some demo videos that allow you to see what is possible. SMS Pro has been in production since 2008 and is used across the world in most aviation industry segments. After watching the demo videos, if you have questions, sign up for a live demo. But first, educate yourself and management on the SMS documentation requirements. This will ensure you are prepared to make the best decision for your current situation. Does it look like we are a good fit for you? Do you have questions? Sign up for a demo and we'll see if we can help.